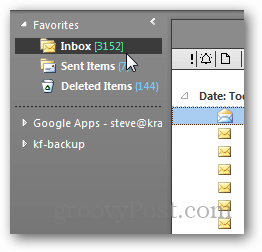 By default, Microsoft Outlook 2010 displays total emails unread next to each folder in the navigation pane. 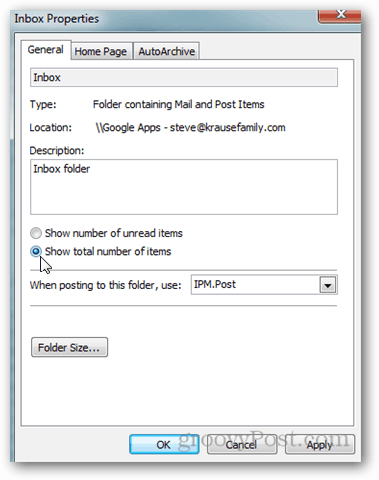 In this Quick Tip I’m going to show you how to change this setting to display total emails instead. 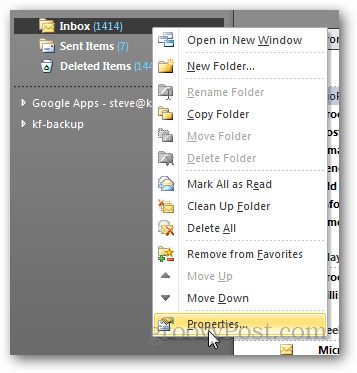 Open Outlook 2010 and right click the folder you want to change. 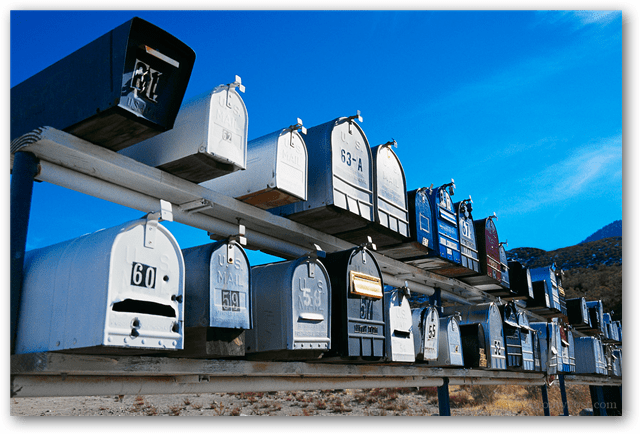 In my example I’m going to change the Inbox. On the General tab, Click the radio button Show total number of items. Click OK to save. As you can see from the screenshot below, my Inbox is now showing the total emails in the folder vs. total unread. As you can see from my screenshots, I changed the default color of Outlook 2010. Hopefully this didn’t throw you off because the steps are the same despite the color scheme you’re using. Where as 1414 are the unread emails and 3125 the total emails.